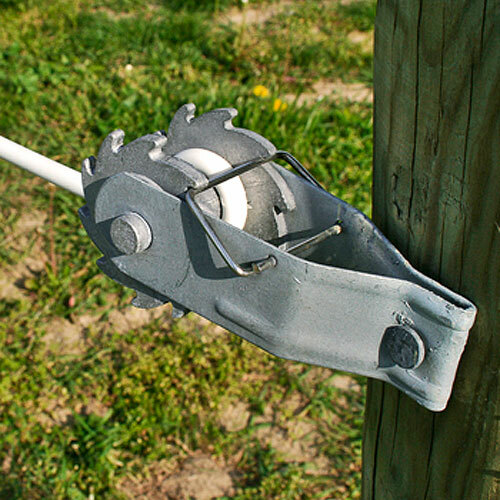 The rail fence tensioner attaches to end posts and is used to tighten up your coated wire horse fencing. 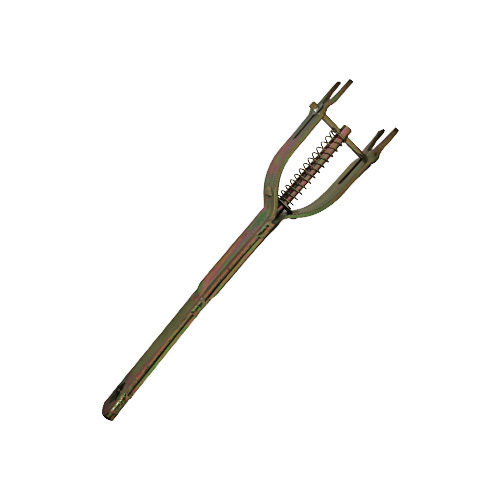 It attaches with one 5" ring shank nail for better holding power, allowing you to end and tighten your fencing rail all in one spot. End and tension your Raceline Flex Fence® coated wire horse fencing all at once with our coated wire rail fence tensioner. 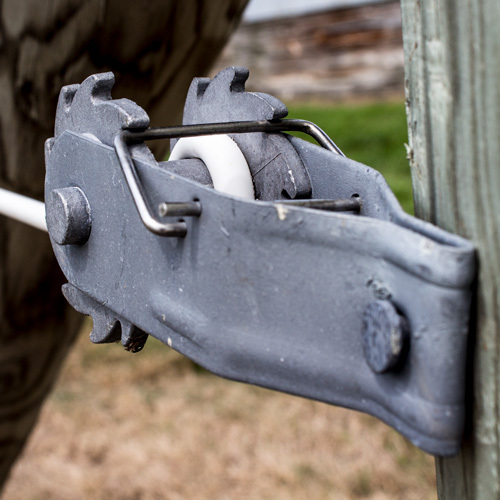 This tensioner attaches to end posts and keeps your fencing sturdy and taut, thus providing a barrier of safety for your horses. The round smooth edges are designed to protect your horse from injuries. Built for horse enthusiasts, by horse enthusiasts! Installation: The rail fence tensioner installs within seconds, using only one 5" ring shank nail (sold separately). 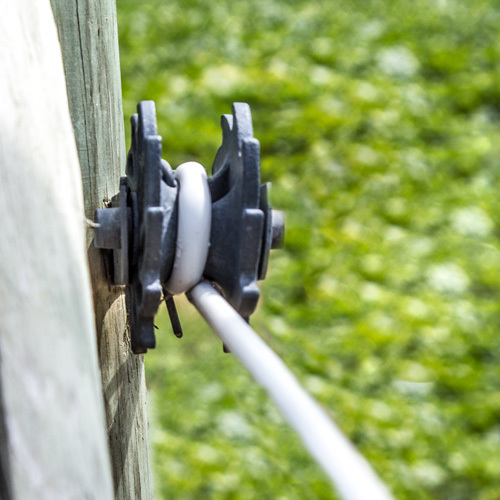 You can tighten the fence rails by using a rail tensioner handle on the rail tensioner. 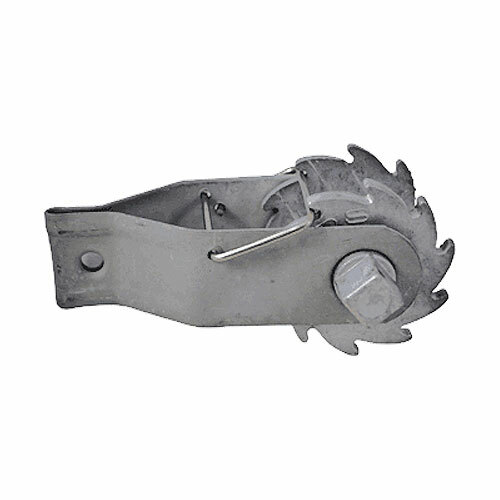 *Note: This end post tensioner requires one 5" ring shank nail for installation (sold separately).